Android Pie is here for the Google Pixel, XL & Google Pixel 2, Pixel 2 XL phones. 5 month ago Google released the first Developer preview of the Android 9. And now they released the final build of Android P 9.0, oh yes and the new name is Android Pie. This time the made so many changes in the OS and the Android PIE comes with lots of new features and new UI. Android 9.0 Pie is finally official for Google Pixel, Google Pixel 2 Phones. 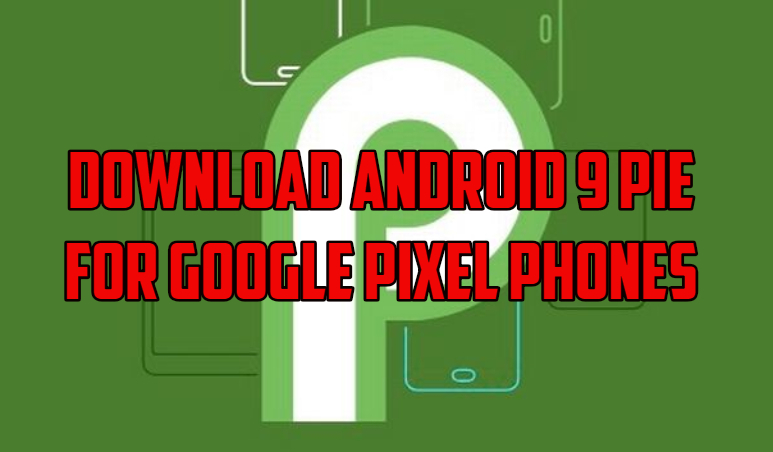 The OTA images and Full System images of Android P 9.0 is already released and you can download the same form Google servers and install this new Offical Android Pie update on your Google Pixels phones. Here in this guide we will discuss the new features of Android P 9.0 and help you to install the same on your pixel phones. This is the final build and not the beta version of developer previews. If you are the pixel user then you can see the Android P OTA update on your phone. If the update is not there and you can’t wait for the update, then follow this tutorial on your phone and install the latest official Android P 9.0 on your phone. This guide will work for both rooted and non-rooted pixel users. But before that do take the full backup of your phone. So let’s get started and install the Android Pie on Pixel/Pixel XL and Pixel 2/Pixel 2 XL devices. 2 Download Google Pixel factory images. Read all the steps very carefully and follow all the below mention steps one by one on your phone. Technobuzz.net is not responsible for any damage that might happen to your phone during this process. 1. Unlock Bootloader of Pixel Phone. Read here how to unlock Bootloader on Pixel Phones. 2. Download ABD files for your Windows PC here. And Unzip Platform Tools folder on your desktop. 4. Make sure the battery of your phone is above 70%. Download Google Pixel factory images. Below are the links of the Pixel 2 and Pixel XL 2 System images. To install this new update on your Read this guide and follow all the step one by one. How to Install System images on Pixel 2 and Pixel XL 2 phones.